Worlds lived. Worlds died. Nothing was ever the same. Except the stuff that was. As I pointed out here, I have no problem that DC is going down this road. 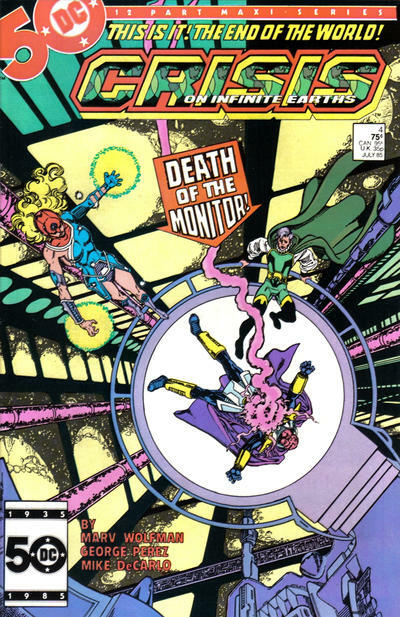 But it did get me to thinking about the original mega-shocker of an event: Crisis on Infinite Earths, the company’s first major line-wide event, which undid decades of continuity when it merged its Multiverse into a single universe back in the mid-’80s. It was an initiative that was perhaps as controversial as it was popular. 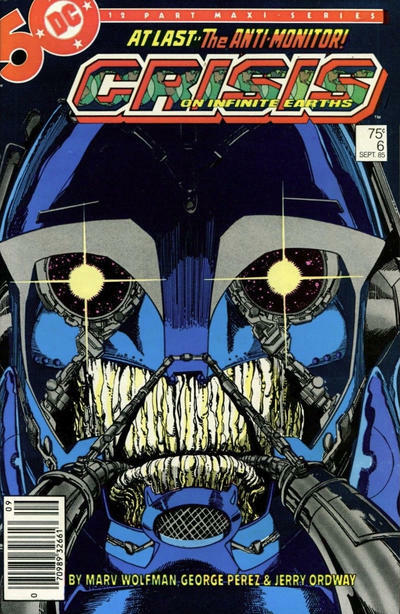 Crisis and Watchmen — as well as The Dark Knight Returns — were seismic in their impact on mainstream comics. 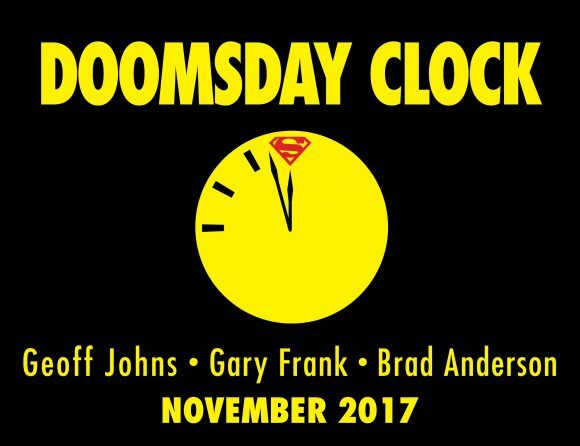 That it’s taken this long for DC to bring Watchmen into the fold is actually pretty amazing — and, like Crisis, readers will debate the wisdom of it for decades to come. I read Crisis as it came out and though I own the trade, I don’t think I’ve read it since. I really couldn’t tell you whether it holds up as a story beyond its magnitude as the ultimate crossover event. But with another major event in the offing — one that recalls those heady days in the ’80s — there’s much to reflect upon where Crisis is concerned — both the promise and the failures. 1. I was really excited when I first heard about it. At the time, I was in my late teens and I was a real continuity freak, really obsessive about it. Continuity gaffes would drive me crazy and I thought the infinite-earths idea had gotten out of control. 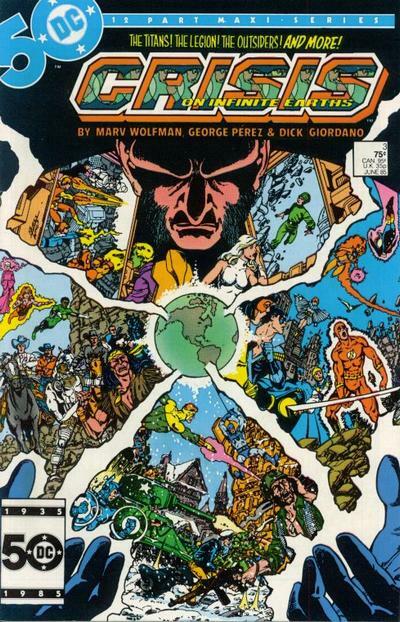 But I also loved the JLA-JSA crossovers, so this just seemed like this gigantic epic that was going to clean house. I was really into it. 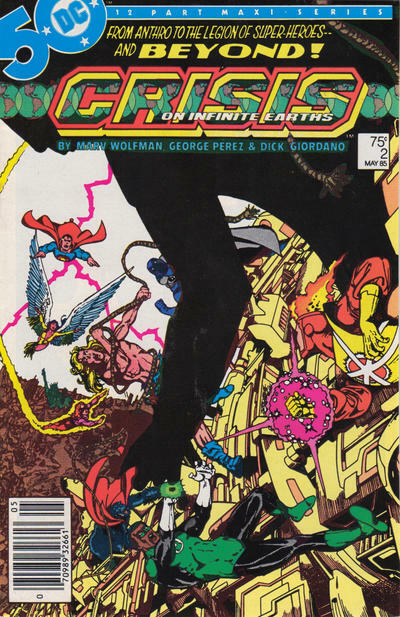 I also really trusted they were going to do it right, especially with Marv Wolfman and George Perez on it. I was an enormous New Teen Titans fan so they could really do no wrong as far as I was concerned. 2. Every issue felt like an event. It also felt like any other comic I was reading at that time wasn’t that important. Crisis overshadowed everything and had this amazing, epic, operatic quality. 3. You really bought the idea that there was no going back. 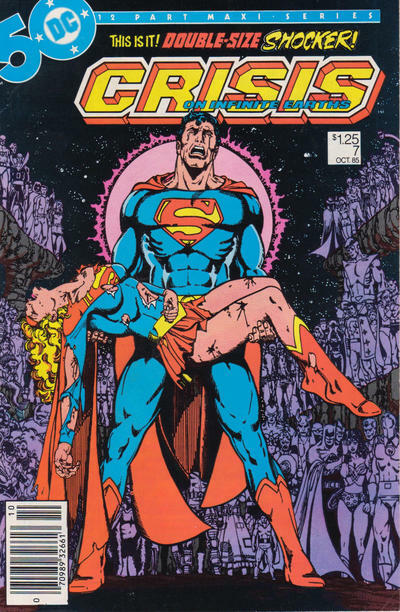 I think even at the time though, the deaths of Supergirl and the Flash were blunted for me to some degree, because I knew a new reality was coming and that this continuity wasn’t going to “count” anymore. 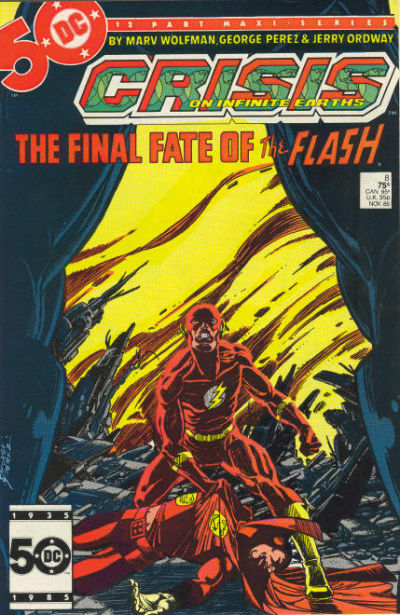 In retrospect, though, the Flash’s death took on much greater importance — just look at The Button. 4. I remember thinking it was a cheat that they let Superman and Lois of Earth-2 and the others walk off into that pocket dimension. I wanted a clean break. 5. While Crisis really worked in and of itself, I think DC bungled the aftermath — and we’re dealing with the residual of that to this very day. 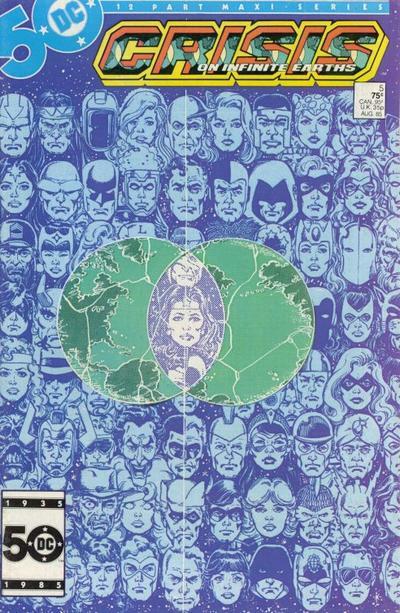 As Crisis was ending, DC was too vague about the new, singular Earth and I wanted immediate answers. I really would have preferred that they do a Man of Steel-style reboot for everyone. I know they felt it was important that Batman: Year One take place in the Batman title itself, but imagine if immediately after Crisis, DC published 12-15 biweekly miniseries using the Man of Steel template, starring Batman, Green Lantern, Wonder Woman, etc. If they had established the new universe quickly and decisively, we would have been saved from the even more confusing continuity issues that developed for years afterward, with Wonder Woman, Hawkman, the Justice League, Justice Society, Power Girl, etc. 6. A lot of people knocked the New 52 but I didn’t. Even if I didn’t like some of the choices and the quality control, I give huge credit to Dan DiDio and everyone involved for drawing a hard line and starting over at No. 1. That said, I think Rebirth is the best of both worlds. 7. I was naive enough to believe Crisis would be permanent. I was still a teen, mind you, and nothing like this had been tried before. Marvel’s Secret Wars was this big thing, but it wasn’t an event on this scale. 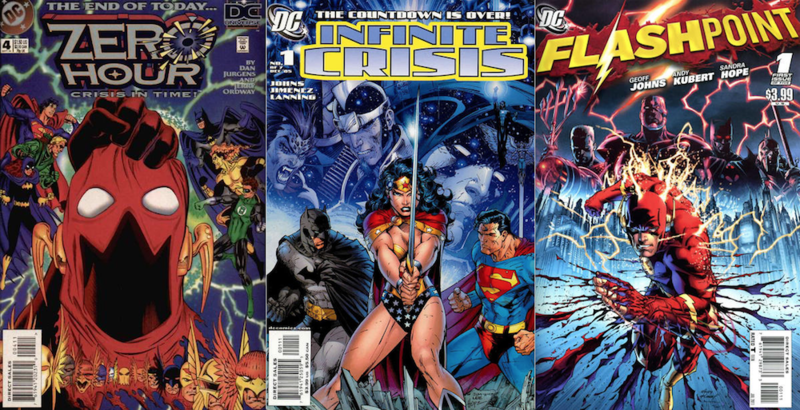 I gave up comics for a number of years, starting in the early ’90s, but one of the main things that drew me back in was Infinite Crisis. The idea that they were going to somehow do a sequel really intrigued me. I didn’t see how it was possible. 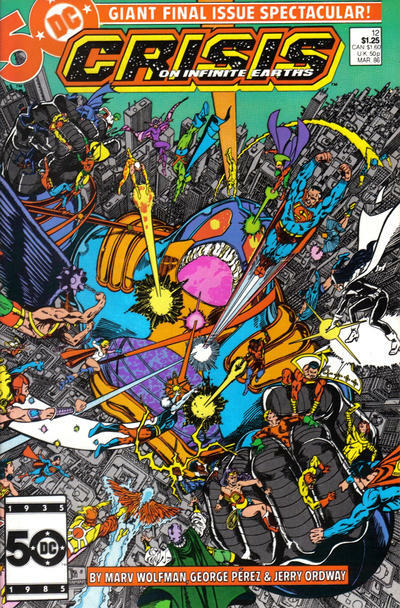 I was that invested in the impact Crisis on Infinite Earths had on the DCU. 8. However, when I came back to comics, it was a bit like Rip Van Winkle. I learned that on a number of levels, Crisis was no longer that big a deal. I’d still had it in my mind that it was this hugely important, milestone thing. It was and it is, but now really from a publishing-history perspective. It wrought a lot of changes, for good and bad. 9. I really liked the idea of one world, one timeline. It felt more “real.” But later, I came to really embrace the Multiverse concept and I’m glad that’s what we have now. I think that it has too many great story opportunities to ignore. Like anything, it’s a matter of talent and management. That’s why I no longer go bananas about continuity. There have been so many stories told that it’s OK to enjoy a story on its own merits. So much has happened in comics in the last 30 years with reboots and threeboots and preboots that at some point you make your own continuity and that’s as valid as anything. 10. As an aside, I really think that some characters are best served by a parallel-worlds format. Having Captain Marvel on the same world as Superman really makes little sense from both a storytelling and a meta standpoint. These are characters best suited to being the pinnacle of their worlds. Putting them in the same one in particular lessens the power of Captain Marvel. 11. One of Crisis’ questionable legacies is the Big Event. I’m not really a believer in event fatigue, though. I like good events and I don’t like bad ones. I read what I want to read and don’t read what I don’t. So long as my favorite characters’ titles get to tell their stories with limited interference from the Big Event, I’m OK with it. DC seems to be managing this better than Marvel these days. Either way, events still seem to be good for business. People buy those books. 12. It was an amazing time. And you really thought you’d never see anything like it again. Cover images from the earth-shattering Grand Comics Database. It was an exciting time 30 ago but at the time I thought it was a big mistake. Having separate earths kept things less confusing (as you said Captain Marvel and Superman sharing the same universe didn’t make sense) and I loved the crossovers every year. And while not a big fan of Supergirl (enjoy the current show however), Barry Allen I grew up with as a kid in the 60s (big Infantino fan) and seeing him killed off upset me. 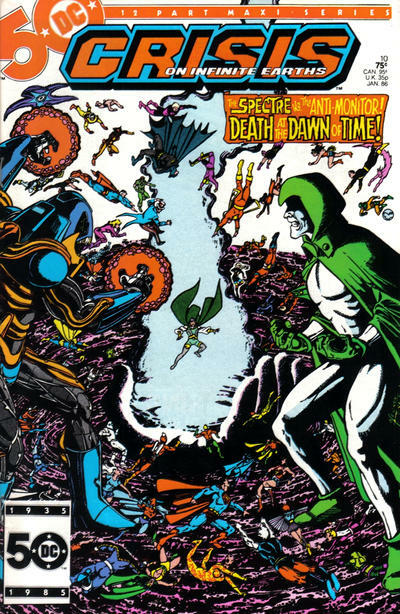 This was the end of the Bronze Age and comics got darker and more nihilistic which I didn’t like. And yes, Zero Hour and all the constant reboots in the last 23 years has confused and ticked me off and I just gave up. When the New 52 started and they rebooted all the comics at #1 I felt it was a good time to get off the treadmill and just collect Batman ’66! What you outlined is almost exactly how I treated things. Crisis was the start of the end. And, by time 52 hit I was done. I also love ’66. 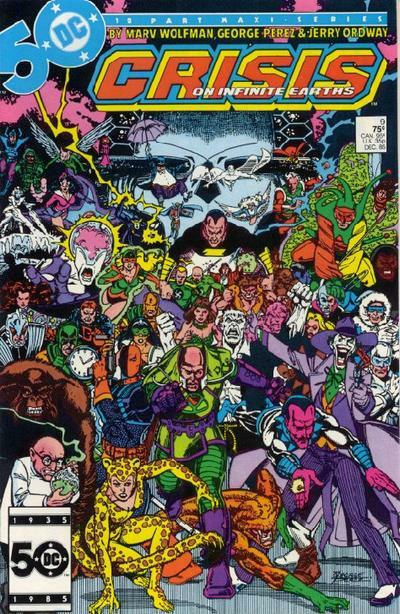 Problem with the idea of relaunching the entire line with #1 reboot issues after Crisis on Infinite Earths would have been: It would not have been possible to get the best talent all lined up on every title at the same time. I think that’s a big reason that Marvel’s New Universe which came out not long after Crisis on Infinite Earths turned out to be such a disaster. They wanted to launch a whole new line in a whole new universe, but they didn’t have any big name talent lined up to do the books, so the whole thing was an exercise in mediocrity. 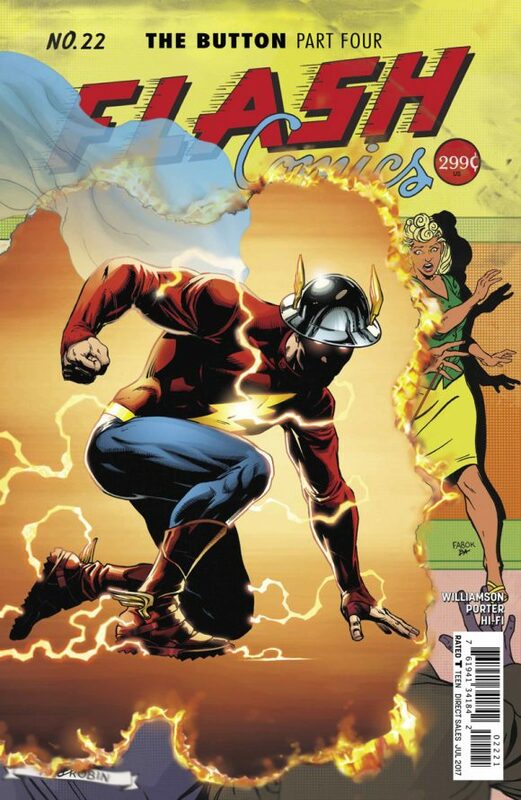 New 52 had the same problem: The books that had A-List talent available were pretty good, like Gail Simone’s Batgirl, Brian Azzarello’s Wonder Woman, and Grant Morrison’s Action Comics…while other books were being handled by B-Listers like Judd Winick, Scott Lobdell, Tom DeFalco, and Rob Liefeld. When you have to put out 52 books all at the same time, you just can’t expect the top talent to be available for all of them, so some books will just be churned out by B-List talent. The books might fall flat or might be respectable, but they won’t be revolutionary, in the way that a once-in-a-generation reboot should be. Marvel’s Ultimate universe did pretty well because they staggered the release of the titles, releasing new books only when top talent was available, rather than trying to launch an entire universe of characters in one month. 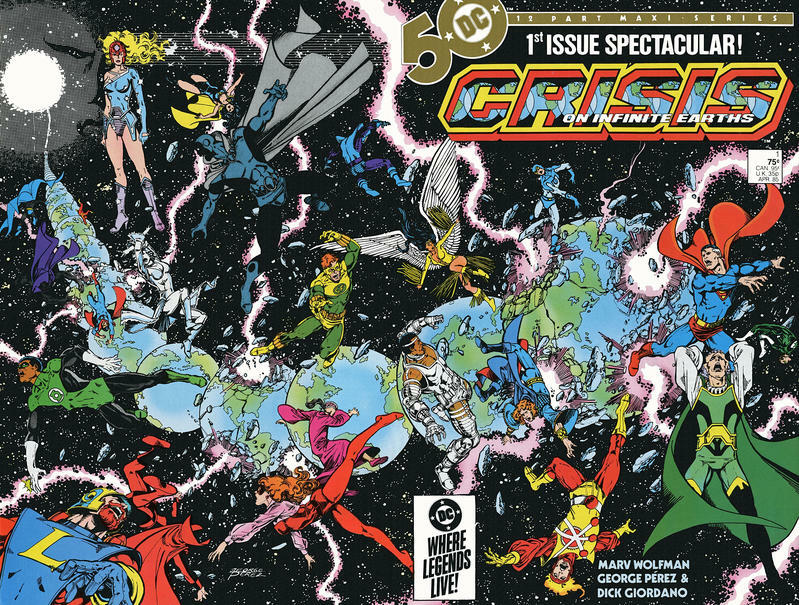 If DC had rebooted the entire line after Crisis on Infinite Earths, we probably never would have seen George Perez on Wonder Woman, Tim Truman on Hawkman, Mike Grell on Green Arrow, or even John Byrne on Superman, because it wouldn’t have been possible for all of those creators to all be available the month after Crisis on Infinite Earths #12 hit the stands. 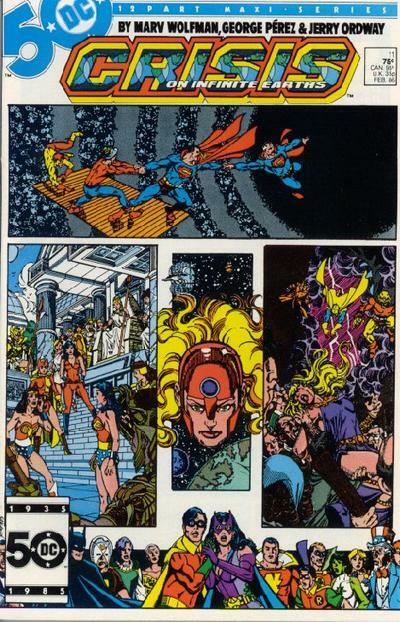 Crisis on Infinite Earths killed Earth-2 and ended the Bronze Age of comics. I hated it then and still hate it.